PORTLAND — Oregon’s attorney general has approved language for a ballot measure to make psychedelic mushrooms legal. Under the initiative, anyone possessing up to 50 grams of dried magic mushrooms or 10 doses of psilocybin would not be charged with a crime, but with a violation similar to a speeding ticket. The only punishment would be a fine. Similarly, distribution of up to 50 grams or 10 doses without a license would be a violation—unless that person has two or more prior felony convictions, in which case, he would be hit with a misdemeanor. 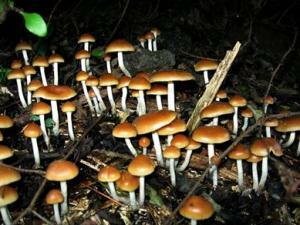 "The intent of the 2020 Psilocybin Service Initiative of Oregon is to advance a breakthrough therapeutic model currently being perfected in research settings at top universities around the world," chief petitioners Tom and Sheri Eckert wrote on the campaign website. "The service model involves a sequence of facilitated sessions, including assessment and preparation, psilocybin administration, and integration afterward. We envision a community-based framework where licensed providers, along with licensed producers of psilocybin mushrooms, blaze trails in Oregon in accordance with evolving practice standards." Oregon was a leader in marijuana decriminalization in the 1970s, medical marijuana legalization in the 1990s, marijuana legalization in 2014, and drug defelonization last year. Now, it's poised to lead the way on psychedelics.